Bamboo Airways finally launched commercial services in January. Now, the airline is eyeing up flights to the US with a number of B787 and A321s on order. It looks like one of these routes could be to San Francisco. However, Simple Flying is currently unable to confirm this. 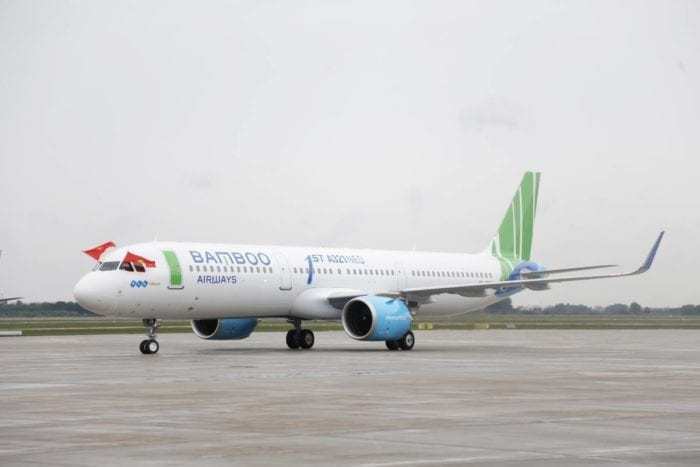 Bamboo Airways was slated to launch back on 10th October, however, a delay in certification pushed this back. After many new dates reported by Simple Flying, Bamboo finally began services on 16th January. Coincidently the Vietnamese airline received their first A321neo that same day. Bamboo Airways was founded by the FLC Group. The FLC Group owns a number of resorts across Vietnam. Much like the European tour operators TUI and Thomas Cook, they have founded an airline division. The new airline division will allow Bamboo to ferry FLC’s passengers to their resorts. However, The FLC group is also aiming to open up its resorts to new markets. Vietnam’s tourism industry is one of the world’s fastest growing industries. This is something which the FLC Group wishes to take advantage of. As well as ferrying domestic passengers to Vietnam, they hope to also entice foreign visitors with their planned international routes. Additionally, the routes won’t just be open to FLC guests. Like Thomas Cook flights, though aimed at those on package holidays, anybody can book the flights. Bamboo Airways has ordered a rather diverse fleet of aircraft. In fact, it has a mix of 44 Boeing and Airbus on order. Bamboo has 20 B787 aircraft on order from Boeing. These would likely be used to operate the long haul US routes planned by the airline. Additionally, Bamboo Airways has 24 Airbus A321neo aircraft on order. The first of these has already been delivered to the airline back in January. Bamboo is currently operating 11 routes between 8 cities. 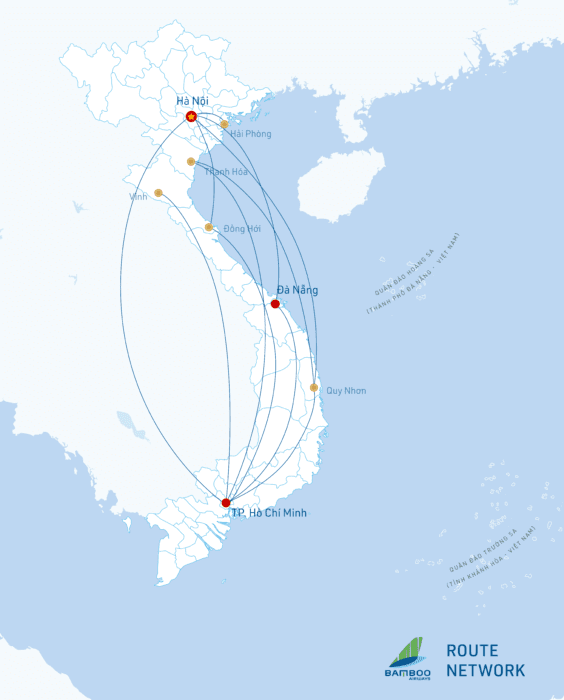 As such, the airline has hubs in Ha Noi, Da Nang, and Ho Chi Ninh City. This is expected to quickly increase to 37 domestic routes. Japan, Korea, and Singapore are likely to be the first international destinations for the airline. Eventually, the airline has plans to operate to 100 destinations. Would you fly with Bamboo Air? What other US airport will they fly to? Let us know in the comments down below! I would fly Bamboo in a heart beat. Fly from Vancouver Canada, perfect gateway for Canadians. SFO-HAN and SFO-SGN are definetly doable for a 787, it’s only around 7,900 miles or so… I have a friend who works for United and he’s been begging the Airline to launch fights with 787 from SFO to Vietnam, but they won’t. It’s also possible the other American one is LAX because SFO and LAX have pretty high Vietnamese Popuations. My guess for Europe is LHR, FRA, CDG, FCO, and MUC.